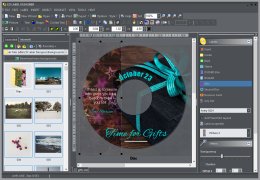 Major version 6.0 update of CD Label Designer is ready for download. Upgrade to this version is NOT FREE unless you purchased after July 1st, 2015. If you purchased before that day, you are eligible for 50% discount. Please use the link from within an application to see more information. + Print Layout notes placeholder, for comments, list of supported printers, etc. This entry was posted in Uncategorized on November 14, 2015 by vradmilovic.